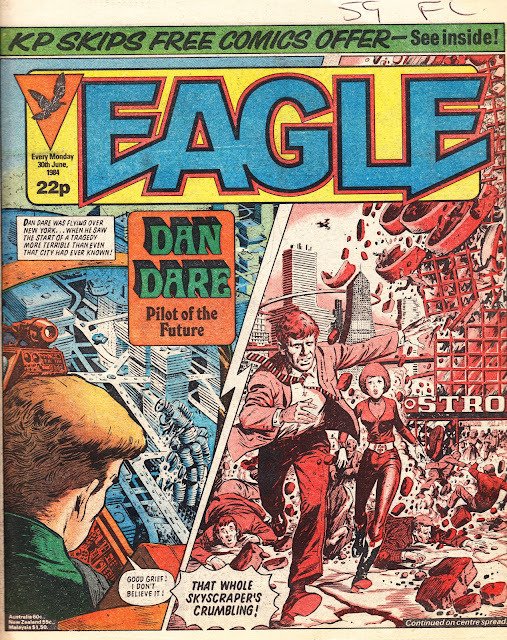 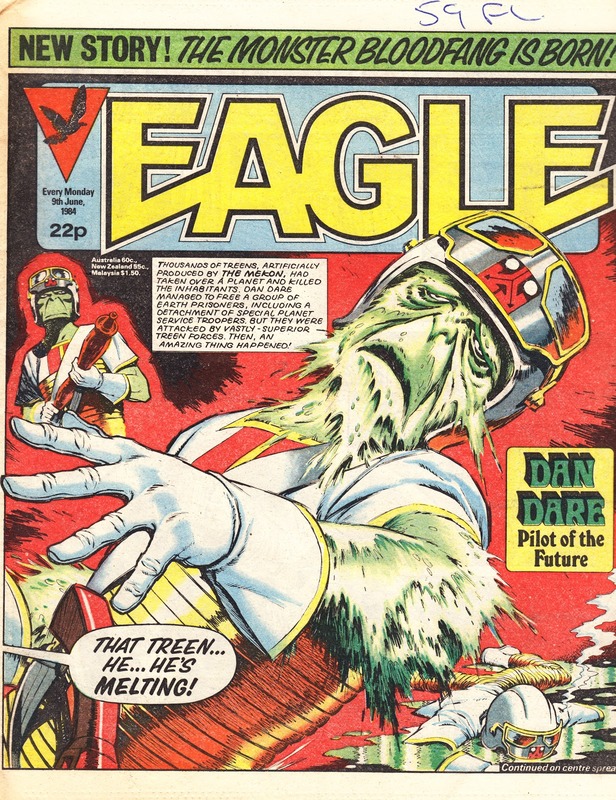 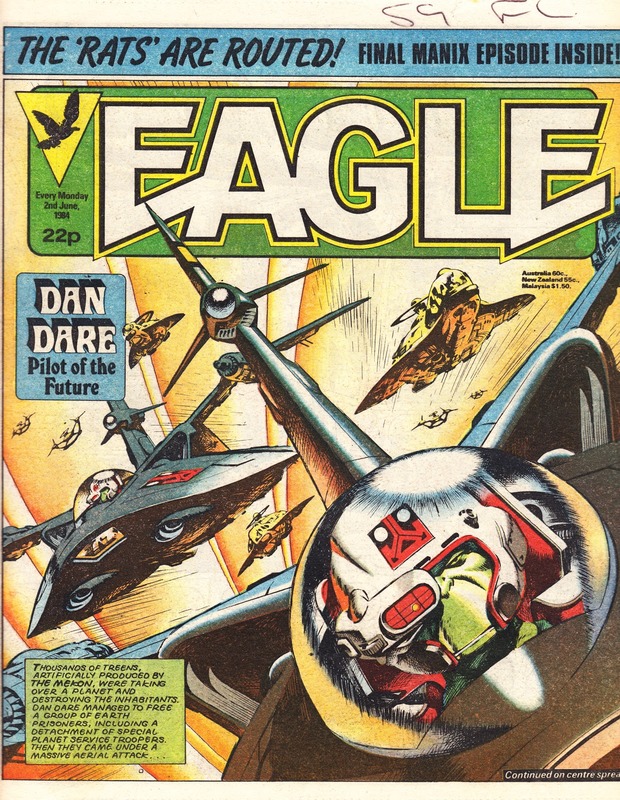 Back to the summer of 1984 and June's editions of the EAGLE. 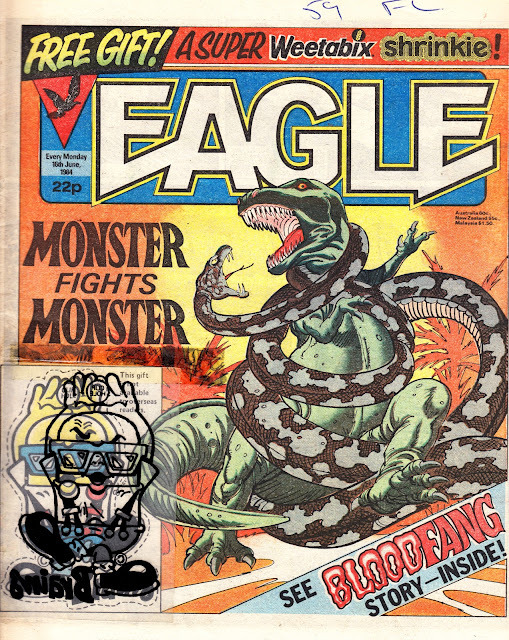 - The start of BLOODFANG, the Eagle's own devil dinosaur, as Manix bowed out. - A freebie cover-mounted Weetabix "Shrinkie" (you colour it then put it in the oven and the plastic shrinks. A miracle of '80's technology. Further Shrinkies would have been available in special packs of the cereal. 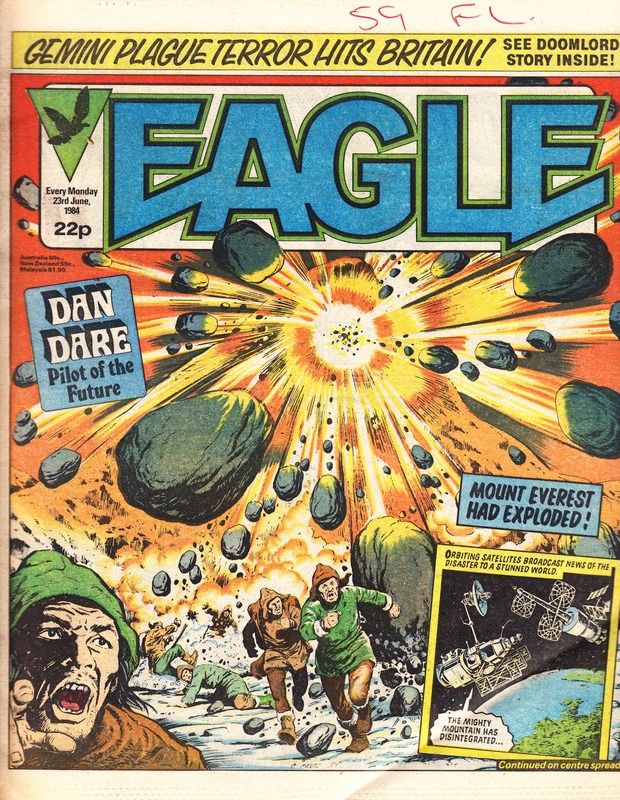 - The launch of the ill-fated IPC/ KP Skips Free Comic Offer. Which I'll cover in more detail in a future post.